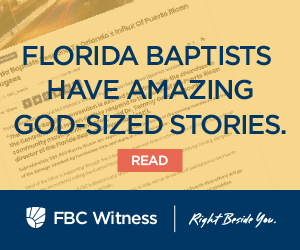 In a climate of extreme unrest in most arenas of society, Florida Baptists are keenly aware of the role racial unity plays in the message of the Gospel and the advancement of the kingdom of God. Many of our churches have heard the calls for unity and are responding. Our denominational leaders are also responding. 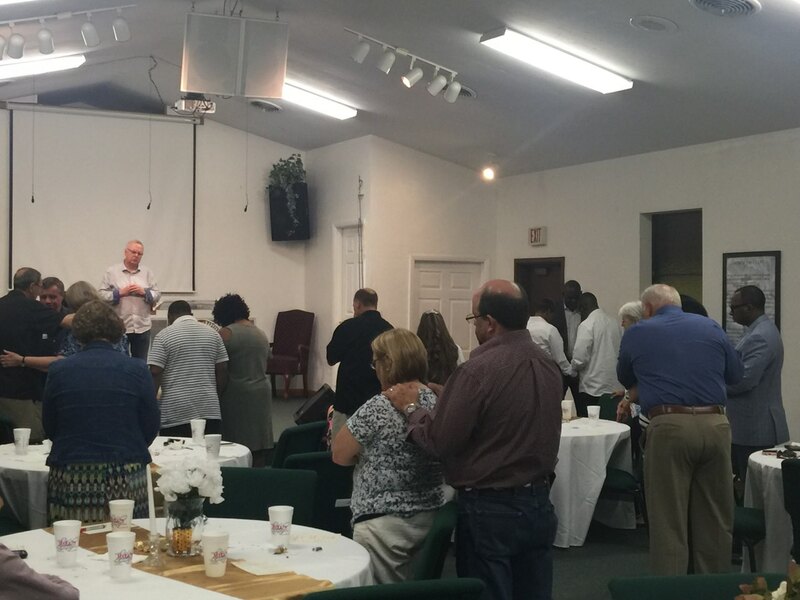 Jeffery Haglund, lead missional strategist for the North Central Florida Baptist Association in Gainesville, has recently seen increased involvement by African American churches in his association. With the increase in participation, Haglund looked for a way to bring pastors of many different backgrounds together. Haglund reached out to North Florida Catalyst Gary Townsend and Black Multicultural Catalyst Patrick Coats to discuss options for bringing pastors of different backgrounds together. What they decided was to do what other regions in the state had done and hold a Pastors and Wives Appreciation Dinner, with Florida Baptist Convention Executive Director-Treasurer Tommy Green bringing the message. Many miles to the northeast, Jacksonville Baptist Association (JBA) leaders were making their own strides toward racial unity. In February, we reported that JBA had formed a Gospel Unity Team to “create a declaration expressing commitment to Gospel unity in spite of racial divides” that would then be presented to the churches in the JBA network. Churches would be asked to publicly agree with the policy or “risk parting ways with the Association,” according to Rick Wheeler, JBA’s lead missional strategist. Click here for that story. Mark Seagle, lead pastor of Mandarin Baptist Church in Jacksonville, is one of the JBA pastors who has already signed the statement. He believes something unique is happening in the city right now. While there is still more work to do, the efforts of denominational leaders in our state are breaking down barriers. Courtney Bryan is pastor of Pleasant Hill Baptist Church in Gainesville. His church hosted the Pastors and Wives Appreciation Dinner and he said it made an impression on him. Though new to the Association, Bryan said he knew most of the African American pastors in the room that night but not many of the Anglo pastors. He was grateful for the opportunity to make new connections. Haglund said there is more at stake here than the health of our denomination. “The world doesn’t need a group of churches not loving each other,” he said. To see the JBA’s Gospel Unity Statement, click here. Nicole Kalil has written for LifeWay Christian Resources, Baptist Press, the Florida Baptist Witness and the Florida Baptist Convention. When she’s not telling the stories of Florida Baptists advancing the Gospel, she enjoys Florida State football, reading and discipling and serving students, the most important being the four that call her mom. She and her family live in Jacksonville, Florida. New Florida Baptist seminary graduates! Mission:Dignity Sunday is June 24!